Jollylook, the first cardboard vintage instant camera is out on Kickstarter having raised over 1000% of its funding goal in less than a week. What made this product so successful? 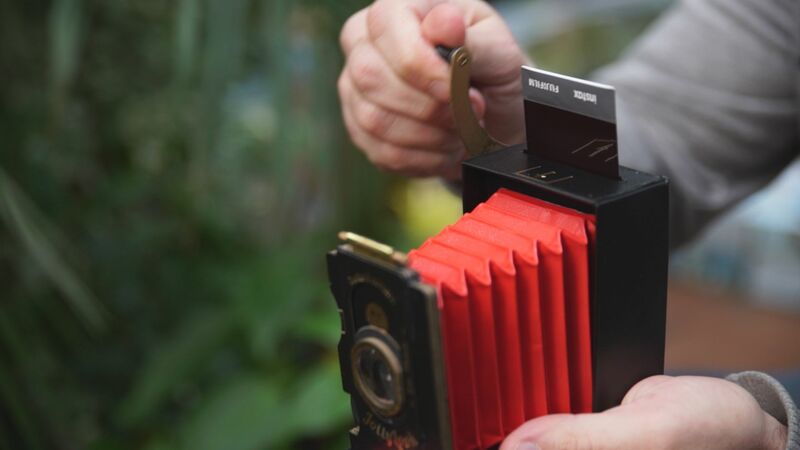 It is designed to be a vintage instant camera that is made primarily from cardboard, and we took a look at this hot item from Ukraine to find out why. The story of this project began when Oleg Khalip, co-founder of the project, showed his son an old-fashioned vintage camera. As he showed his son what was inside he explained how analog photography worked and hit a unique idea, “what if the package itself transformed and fulfilled the function of the camera and the picture turned out immediately? !” he said. From there he and his team designed an instant vintage camera that would, for their purposes, fold accordingly into a single package like an original vintage camera, function simply, and take instant photos. After extensive design which included developing the shutter, finding the right lenses, and ensuring that the photo would be released upon being taken they arrived at the Jollylook. The camera is designed so that Fujifilm “instax mini” instant film cartridges are used with no modification. This gives the user a total of ten pictures per camera. Once inside users simply adjust the aperture and shutter to take the photo and then turn the crank on the side to roll out the picture. Lens – a meniscus lens with a focal length of 110 mm ( 4.33 in), allows to take photos from portrait to landscape and can be moved up to shoot through the pinhole. Aperture – a switchable diaphragm with manual adjustment for the seven values: f / 8, f / 11, f / 16, f / 22; f / 32; f / 45; f / 64 + pinhole. You can currently only purchase the Jollylook camera on Kickstarter where pledging $38 US will allow you to acquire a single camera and mini film cartridge. Higher pledges allow for a larger amount of cameras and cartridges to be purchased. There is no word yet on an expected retail price. They expect the cameras to undergo mass production as early as June 2017. Bravo for the company and however they figured this thing out. I bet it takes really cool, vintage photos as well! Pretty amazing stuff to see this campaign really take off like this. Photography has many parts to it and the vintage thing, is still a thing! Its always overkill with things like this. Great, you can make a camera from recycled paper, but what is the long game on this? Regardless of what this thing is made from, the specs are pretty nice!